Stephan El Shaarawy reaffirmed his class once again with a stunning goal for AS Roma in their victory over Frosinone in Serie A on Saturday evening. The 23-year-old lost his way at AC Milan—largely due to injury—and was loaned to AS Monaco at the beginning of the season, potentially with a view to re-establishing himself as a potential candidate for Italy ahead of the 2016 European Championships this summer. 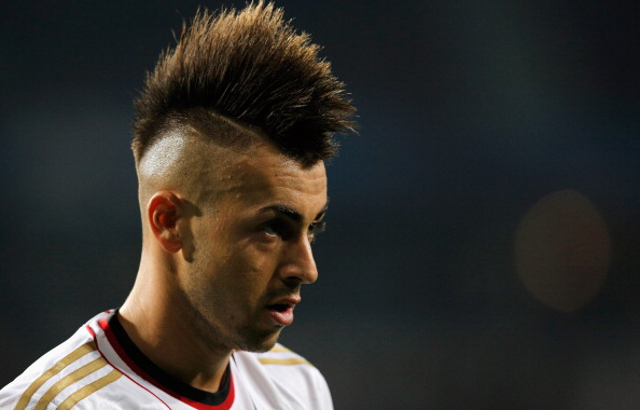 However, things didn’t exactly work out in France, where El Shaarawy managed just 15 league outings—of which only seven were starts—and failed to score a single league goal during his six-month tenure in Ligue 1. He returned to Italian football during the January transfer window on loan with Roma [as per the Giallorossi’s official website], and made his return to action against Frosinone on Saturday evening. With the scored tied at 1-1, El-Shaarawy demonstrated his enduring quality with a magical back heel, leaping to meet Ervin Zukanovic’s cross with his back to goal, before flicking the ball past Nicola Leani. Radja Nainggolan opened the scoring for the capital club—now managed by Luciano Spalletti—before Miralem Pjanic rounded off the 3-1 scoreline in the 84th minute. The win means fifth-placed Roma go five points clear of AC Milan and nine behind leaders Napoli in the Serie A table.